After 20 years of producing original TV shows, Cartoon Network is set to premiere its very first mini-series—a 10-episode comedic fantasy called Over The Garden Wall—later this year. The series is based on the animated short Tome Of The Unknown, which recently won the award for Best Animation Short Film at the Santa Barbara Film Festival. Tome Of The Unknown is about two brothers, Wirt and Greg, who get lost in the land of the Unknown—a land populated at least partially by people made of vegetables—“where long-forgotten stories take shape around them as they search for a way home.” Elijah Wood, who voiced Wirt in the original short, will return to star. 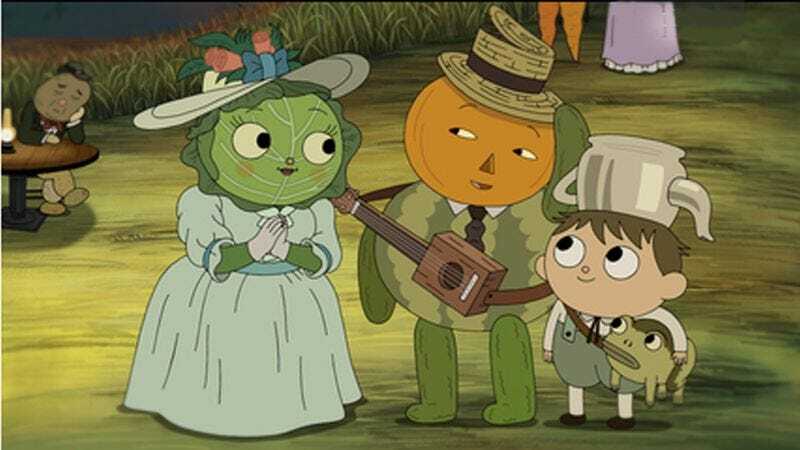 Over The Garden Wall was created by Patrick McHale, director of the original short, as well as a storyboard artist on Adventure Time. It will debut on Cartoon Network this fall.